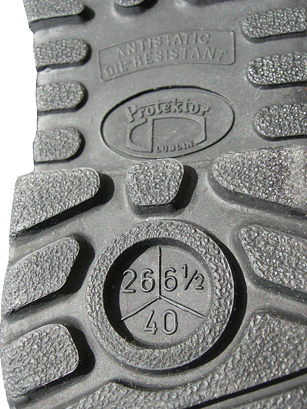 the features of the out-soles (antistatic, oil, petrol-resistant) and sizes (the round sign is divided into three sectors, each of which shows the size indication in Polish, British and French size metrics respectively). The photos show the examples of marking: the Polish size is 26 cm, the British size is 6.5 and the French size is 40), and the table of all sizes of boots, produced by the manufacturer - "Protektor SA" company of Lublin. This choice of metrics is likely due to the possibility of such boots supplies to the Armed Forces of the Polish allies of NATO. This version can be also proved by the fact, that the manufacturer is possessed of the AQAP 2110: 2006 (Quality Certificate for military boots), as required by NATO regulations. 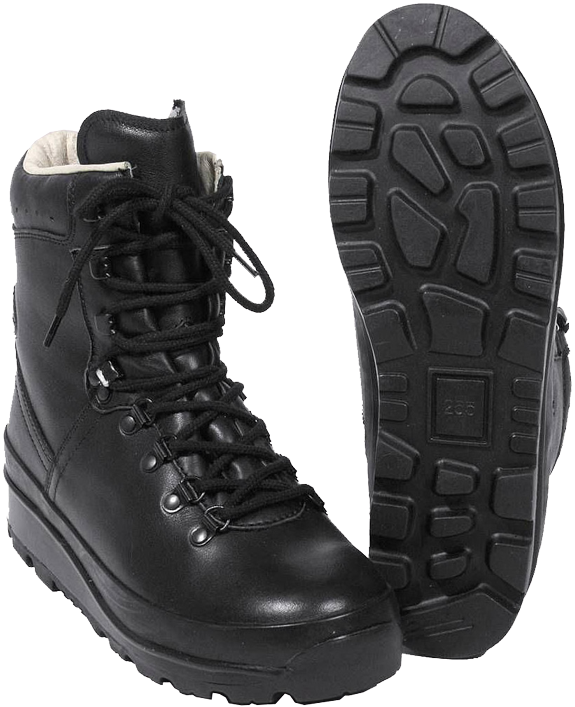 A pair of "Grom" tactical boots cost about 230 zloty (i.e. 55 Euros) in Poland. For extreme weather conditions (heat and cold), the Danish Armed Forces use simple and comfortable "patrol" boots, manufactured by "LeBOCK" company. These boots are really created by quality work boots and made of hydrophobic leather, despite the fact that they are quite lightweight: a single boot weighs just 635 grams. 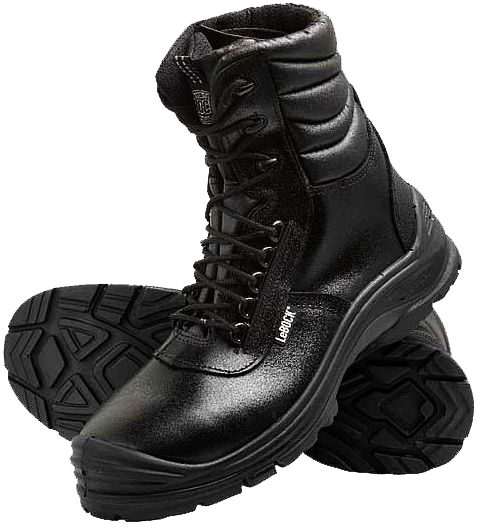 The style of these boots is characterized by minimum number of seams, a powerful "collar" padding for insulation and cushioning at the top of the boots. 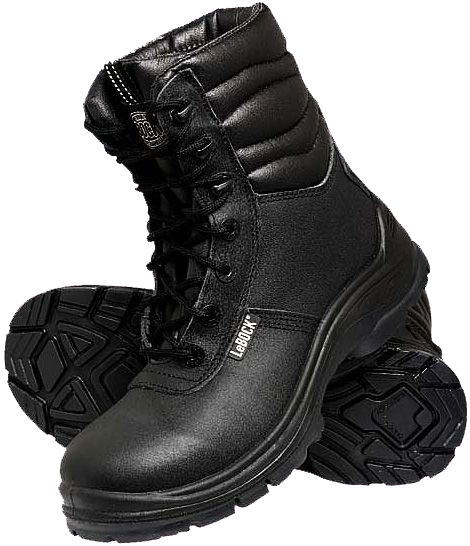 These boots are lined with WinTherm® microfibre, a breathable material that provides insulation from heat, and from cold up to -20 C.
There are 2 types of lacing of these boots, as shown on the photos: four pairs of simple round eyelets + three pairs of speed lacing eyelets, or five pairs of D-shaped half-rings + three pairs of speed lacing eyelets. The flap of the boot's tongue is semi-closed, and the boot's tongue is stitched almost to the top of the boots. The padded DMS (Direct Mould Sole)-type out-soles are composite in construction, and made of polyurethane and thermo-polyurethane. The out-soles are antistatic, slip resistant and oil-petrol-resistant. On the toe and on the heels the out-soles "come up" for better protection of the feet. 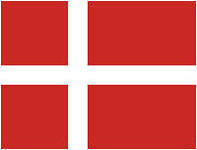 The cost of these boots on the manufacturer's website is 940 Danish Kroner (about 126 Euros).